spectacular area to camp. it is a dirt road in and out, the camp host was super friendly and the vault toilets were clean. Sites are right on the lake, perfect for kayaking. The sites are close together but still semi private. Lots of short hikes and a swimming area. Very close to natural bridge and caverns. The lake is very cold but fun. Sites are pretty private with half on a cute creek. Sites are right on the river, we had a walk to which gave us some extra privacy. Beautiful area for hiking, lots leading off of the AT. 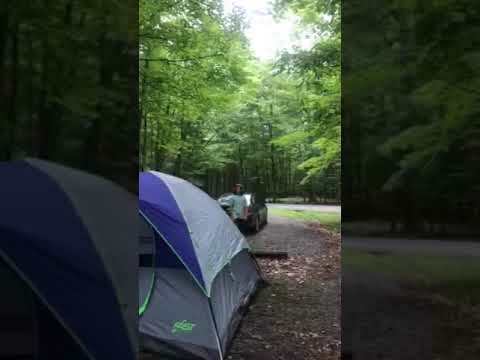 campground hosts are very friendly. sites are small but the park does not fill up during the week. There are a few hikes leading back to the river. Canoes and paddle boats are available to rent for use in black water.